With just ten working days left until CFG’s annual conference (and with tickets on track to sell out), I thought I’d take a minute or two to highlight 5 reasons why I think spending the day at the conference is more than worth your time. There are lots of opportunities to network and meet colleagues. 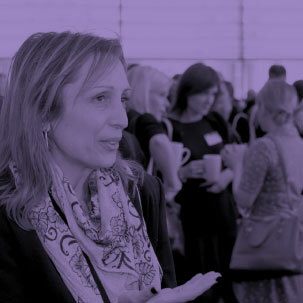 With an attendance of over 500 charity finance professionals, the conference provides a unique opportunity to share experiences and learn from others – over a hot, fresh lunch and/or a glass of wine at the drinks reception. The conference always gets great feedback for its social element – it’s not all hard work. It’s a great opportunity to get of the office, hear real case studies and share learning with others working in your field. Hear from interesting, engaging speakers. Our morning keynote speakers, Dalton Leong (CEO) and John Tranter (Finance Director) of the Children’s Trust, will share their knowledge and expertise on the role of the finance function and business partnering. This year, we’re also incredibly pleased to have Dame Stephanie Shirley in the closing plenary slot. Dame Stephanie’s story is a truly inspiring one – She was a refugee from the Nazi regime as a child, started a successful a software company in 1962 and went on to become a pioneering philanthropist. Practical sessions to learn from. The sessions offer plenty of opportunities to ask questions and quiz experts on everything from ethical investments, the latest on pensions and how to best use benchmarks and KPIs. 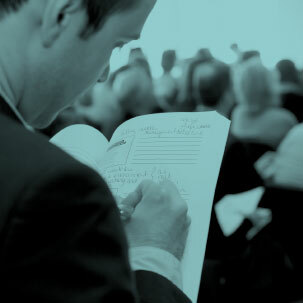 The sessions provide tips to take away and implement in your organisation – which previous attendees have highlighted as something they’ve found especially valuable. Career development. Finance professionals who attend the conference can claim over five hours of Continuing Professional Development for attending. It’s a great opportunity to enhance your leadership development in a fun and interesting environment. Visit the biggest exhibition of financial service providers in the UK. The annual conference sees over 50 providers gathered in our marketplace, who are willing and able to find solutions for your charity. If those are not enough reasons to book a place, it’s also a great opportunity to take away a number of our free, practical resources – regardless of whether or not you’re a CFG member. We’ll be giving away copies of our latest Economic Outlook Briefing for charities, issues of our popular monthly magazine Finance Focus, and a number of other resources and guides. The conference is on Wednesday 13th May at QEII Conference centre in Westminster. Book a place on our website at www.cfg.org.uk/ac15 or email us on events@cfg.org.uk. PS. I’m CFG's new Communications Manager, and I’m looking forward to keeping you up to date with CFG’s events, publications and briefings. You can follow me @CFG_Ventress or email me.